Portland has been invaded…by wine bloggers from all over the U.S. and North America! In case you are wondering what the these hashtags like #wbc12 and #avayc or #winelover mean, you aren’t the only one…even we bloggers aren’t quite sure what they are half the time. Twitter has taken over the wine-blogging arena: the way bloggers talk to each other these days is by @ and # signs. When I first started blogging, I was overwhelmed by the @ people and # topics that people were discussing and using as their means of communication. This weekend has been dominated by the #wbc12, which means, “Wine Bloggers’ Conference 2012.”, The Twitter term #avayc means American Viticultural Area Yamhill Carlton; #winelover is a team of endearment for fellow winelovers and also has a link to The Wine Hub, a great marketing method used by a fellow blogger to spread the love…of wine. To see our real impact, Oregon may need to wait a few months to see the direct impact as these blogs are written and shared across the world. As Oregon is now my new home, I hope to create a strong impact outside Oregon for Oregon’s wine industry through what I write and represent. 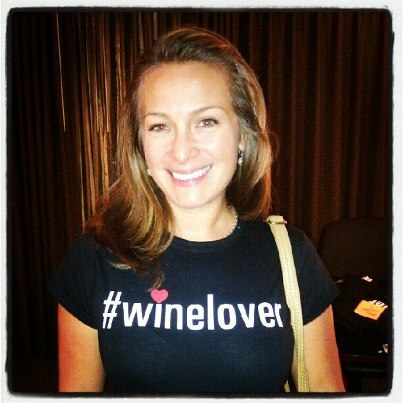 I blog simply because I love writing about wine and helping demystify the wine world for others. Stay tuned! This entry was posted in About Sacred Drop, Oregon Experiences, Wine Tasting in Oregon, Winery Visits in Oregon and tagged Blog, Oregon Experiences, Oregon wine, Oregonian, Portland Oregon, Twitter, United States, wine bloggers conference. Bookmark the permalink.